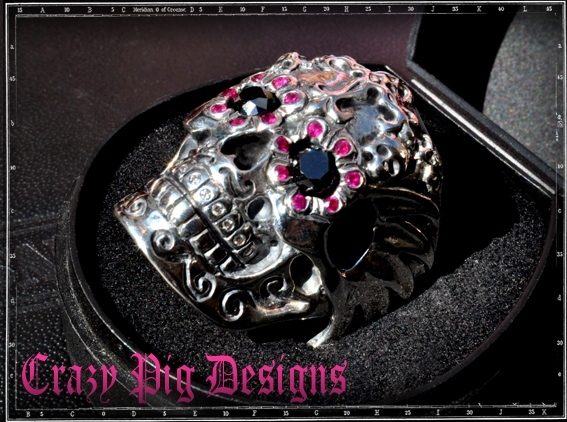 Check out this Bespoke version of our Mexican El Muerto Skull Ring! Featuring rubies around the eyes, which are the birthstone for the month of July. See our website to order the standard silver version of this ring, or to find out more info about Bespoke pieces.